Mahalo for 30 Wonderful Years. We are closed for Business and thank you for your support and Ohana over the years. The Black Pearl Gallery specializes in iridescent color Tahitian Black Pearls set in original and limited edition 14k and 18k gold and platinum creations by our Master Jewelers. 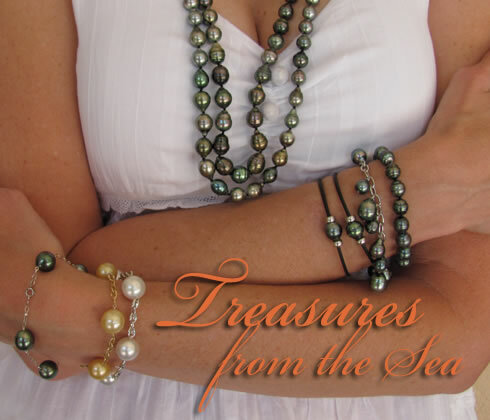 We feature Rare Tahitian Black Pearls, South Sea and Black Pearls, iridescent Tahitian Black Pearl Jewelry, Tahitian Black Pearl Earrings, Black Pearl Gallery, Black Pearl Jewelry, Pearl Specialists, Pearl Strands, Hawaii Jewelry, Tahitian Jewelry, Tahitian Black Pearl Strands, limited edition jewelry, Hawaii Pearls in Maui.